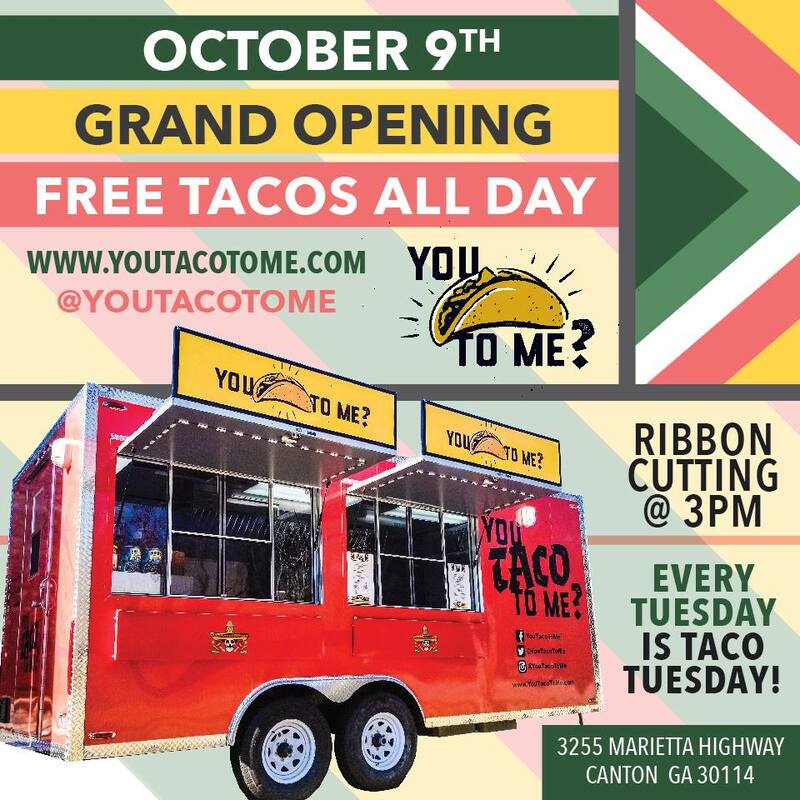 You Taco to Me, a new food truck in Canton, opened recently and will be celebrating its Grand Opening with a BIG giveaway! You Taco to Me focuses on bringing fresh, quality tacos at an affordable price to the community. Prices for specialty tacos are as little as $1.49 to $2.99 each. The Canton eatery on wheels will be celebrating on October 9th with FREE tacos all day! Taco selections include carne asada, al pastor, barbacoa, bang bang shrimp, korean beef and chicken teriyaki. You Taco to Me also has a location in Lawrenceville.